Krrish 3 Dubai Press conference- Favourite bits! Note: Apologies, was unable to get a better shot. Too many people surrounding the stage. Gagan’s question to Vivek. It wasn’t just the question but the respectful manner in which he addressed Vivek that was heartwarming to see. And Vivek responded with equal amount of warmth and affection. Hrithik’s reactions to the different questions (not addressed to him). OK I have to admit, that was one of the reasons I went because it is so much fun to see his facial expressions change from disbelief to amusement to awe during each question and their response. (And yes, I love that gorgeous smile!) This is something you will rarely get to witness in a recorded conference because the focus is on the person responding. But overall the experience was amazing. I only wish the questions asked were better. The lack of research was evident, exhausting and extremely frustrating (Krrish 1, Krrish 2, Krrish 3…the band question, was the VFX done in India). Would have loved to see the journalists ask some different and interesting questions. You ask the same question – you get the same response. Then don’t complain! P.S- The cracks at her expense intend no disrespect. We love her to death and she is the point of all solace for us. Not to mention the one we run to when ANYTHING goes wrong. She makes a point to hide how completely mushy she is about him though. Yes, we’re all scared of her, how could you tell?? Man am i the only one who was never scared of her? None of us are SCARED per se, but well, she’s the boss. 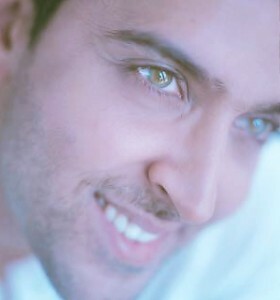 Globetrotting from Madrid to Dubai – Hrithik’s whirlwind trip. hrithikrules on Krrish 3 Press Conference in Dubai. Zaw on Krrish 3 Press Conference in Dubai.